Conner was an easy baby from the start. I never had morning sickness or any issues until preeclampsia with the pregnancy. I loved feeling him grow inside me, and thinking what a miracle it was to be blessed with. Conner entered the world on 6-27-2006. He was due on July 3, 2006. He arrived weighing 7 lbs 4 oz, after only 10 pushes in 10 minutes! Our whole world changed when we saw him. He had super blonde/white hair and really dark eyes. We can never fully express our love for Conner Clayton! I always knew I wanted a large family with 5-6 children! Michael thought he only wanted 2-3 children. I always tease that God likes me more, but knew what we all could handle! Conner came into our lives well before we planned on having children, but we could never imagine life without him. For years, it was always Michael, Roxanna, and Conner. We never took a vacation, or went anywhere not as our family of three! Worldwide adventures made many fond memories for us all. Conner says, “I remember when I was an only child.” sometimes when the babies are acting crazy. He always remembers, “being happy but still getting bored sometimes with nobody to play with at home besides parents”. 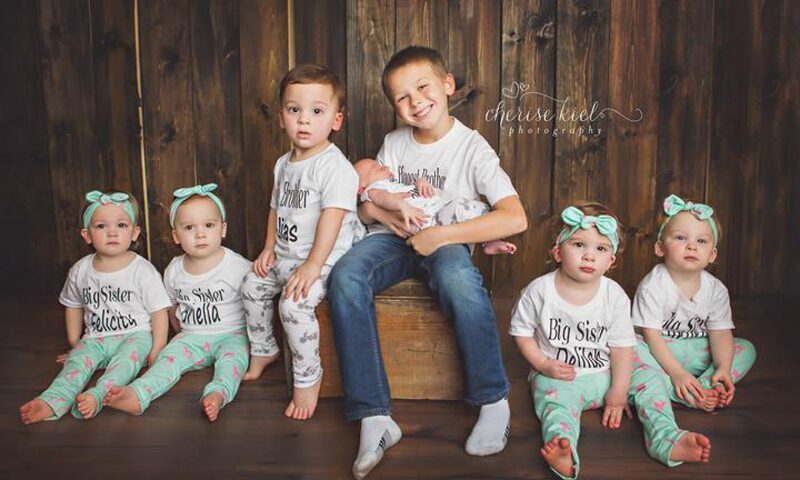 Conner was destined to be a big brother! When I was pregnant with Allyannah, he rubbed and talked to my belly daily. When I lost her just before 24 weeks, it devastated all of us. We tried to stay strong for him, and explained that she decided she was not yet ready yet to come out, meet us, and was not strong enough to be here, so she went to be with God to watch over us. He didn’t really understand it all, but he was so young; we did our best. We never knew we would suddenly be dealing with a new battle with an unknown world of infertility. He patiently waited, but asked a lot when he would be a big brother. It was heartbreaking, to see negative tests each month, but even more heartbreaking to not add to our family like we all wanted. Conner was on Christmas Break from school when I had my third ultrasound to see the “twins’ heartbeats”. Michael was able to be there too, thankfully. Conner was nervous to be a big brother to two babies, but I assured him he’d do great every time he said, “I’m not prepared yet”. As soon as the ultrasound technician told us we were having five babies at the third ultrasound, Conner immediately exclaimed, “I’m really NOT prepared for all that”. He sure knew how to make me laugh when we were so overwhelmed trying to comprehend those words! Since then, he has continued to grow in every way. He even helped us choose baby names! His special job was to give those approved names to each of the girls. He studied them for hours before he knew which girl should be named each name. It was so amazing to watch him embrace that big brother role and be involved. With Gideon, he was equally if not even more excited to see another brother! Conner has NEVER changed a dirty diaper but can easily tell you everything about each of the babies. The quintuplets idolize him! They call him, “Cocky” or “Cocker”, since they struggled to say Conner. He hated it at first, but now even he refers to himself as that to them. I guess he figures if you can’t beat them with not saying it, join them! He always rushes home from school to shower quick (de-germ) and play with them! Conner is easily described as having a passion for life, charismatic, selfless, caring, honest, sensitive, resilient, smart, athletic, mature, adorable, and has a heart of gold. 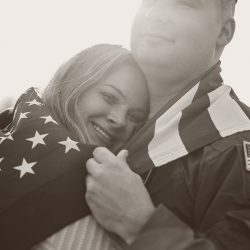 Conner has had to move a lot and be separated from both of us at different times, because of the military. He has thrived through it all and our bonds with him are so strong. He has an inner strength that is amazing! Conner has played every sport there is since he was little. He even tried archery at 3 years old! His main passion is currently basketball. No matter what crazy events take place in our lives, Conner has maintained an active interest in sports and other extracurricular activities. Allowing him to pursue his passions is likely what has kept any resentment away. He gets his moment in the spotlight when we watch him play. Thankfully, the kids are very well-behaved at his games. We also enjoy our weekly date night! Most times, we do something together at home after the kids go to bed. He also has a family night on Friday, where he picks what is for dinner and picks an activity or game. It is so much fun watching him be a stress-free kid! I still can not believe he is 10 years old. He has never complained about moving, or the fact he has attended 9 schools, because of the moves. He just adapts and makes new friends. We help him to maintain relationships with past friends too, since that is important. Conner sleepovers at our house, every weekend. I don’t let him over to others, since I’m paranoid, but I love our house being the hangout house! Conner is really smart! He is constantly at the top of his classes with all A’s, and does book-work at home after school with Mom to keep up the challenge. He is looking forward to next year, so he can take all honor classes in middle school. Yes, an exciting but sad milestone for Mom that he is starting middle school next year. Where has my first baby gone? You know, the one that changed my world and gave me the name of Mom? I could not be more proud of the little man he is becoming! Rehearsal Night for our wedding on 1/1/11. Conner was Baptized here the night before on 12/31/10! Family tradition of a trip to the pumpkin patch, every year. Disney after Daddy got home from a deployment. This picture was one of our fun memories! Dad was out of town a month with the military. Quints were 7 months old. Conner started baseball practice for the season this night. He also had basketball practice and games every other night this week. I took all the kids alone to his practice. We couldn’t find the right spot to be, so I pushed a stroller, pulled the other, and carried the fifth baby all around. I was so frustrated, and wanted to give up! He kept an amazing spirit though and kept making fun of me. We survived and and fun!